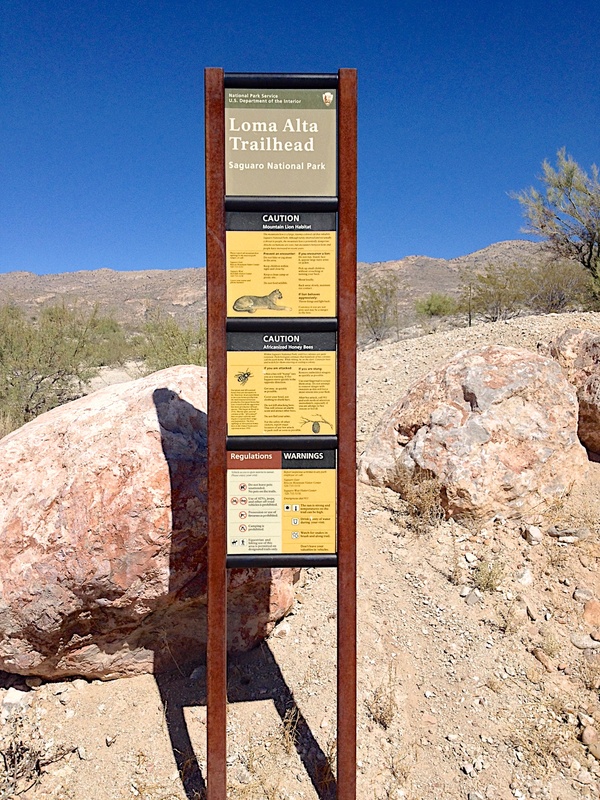 This week I drove out Old Spanish Trail, parked at the Camino Loma Alta trailhead, walked down Hope Camp trail, and then hiked up Quilter trail into the Rincon foothills. 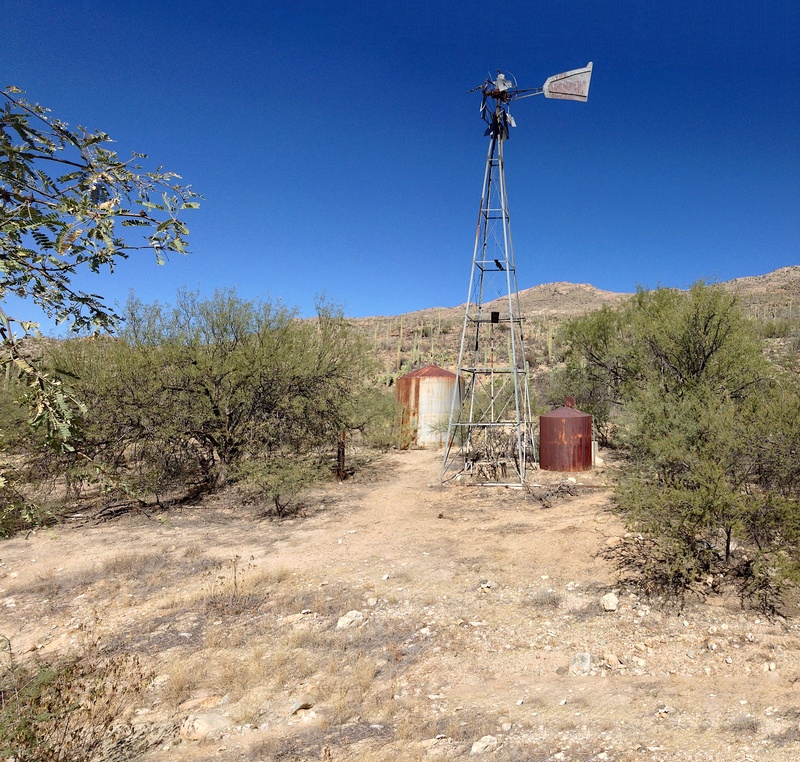 I had tried the previous week to drive down the X9 Ranch Rd in order to hike up the Manning Camp trail, but the road has a gate and the man on the intercom wouldn’t let me through. 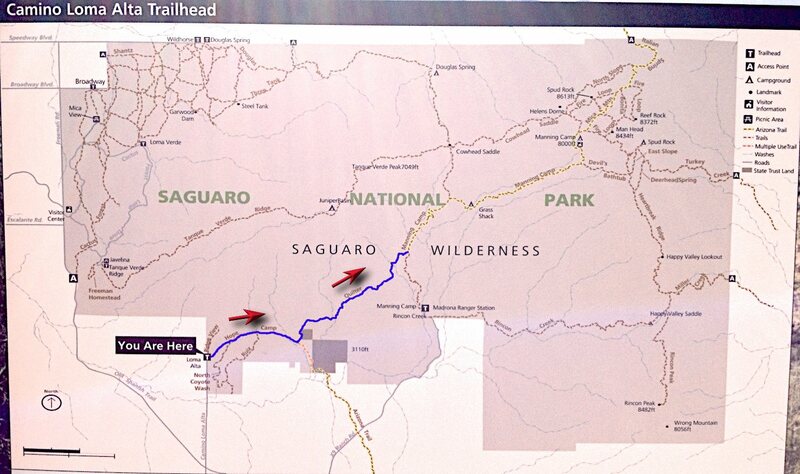 If anybody knows how you’re supposed to be able to get to the Manning Camp trailhead, I sure would like to hear. 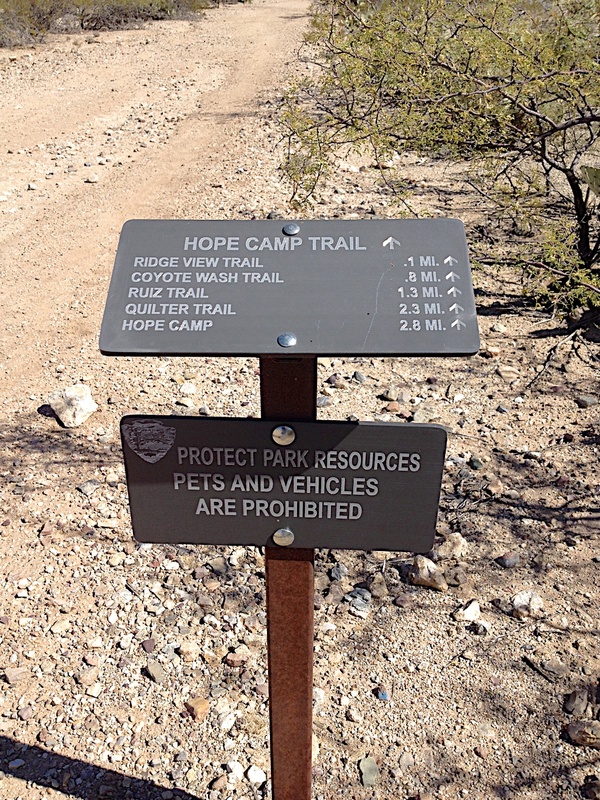 The downside of a hike on Quilter trail is how far you have to hike just to get to the start of the trail (about 2.3 miles according to the sign). 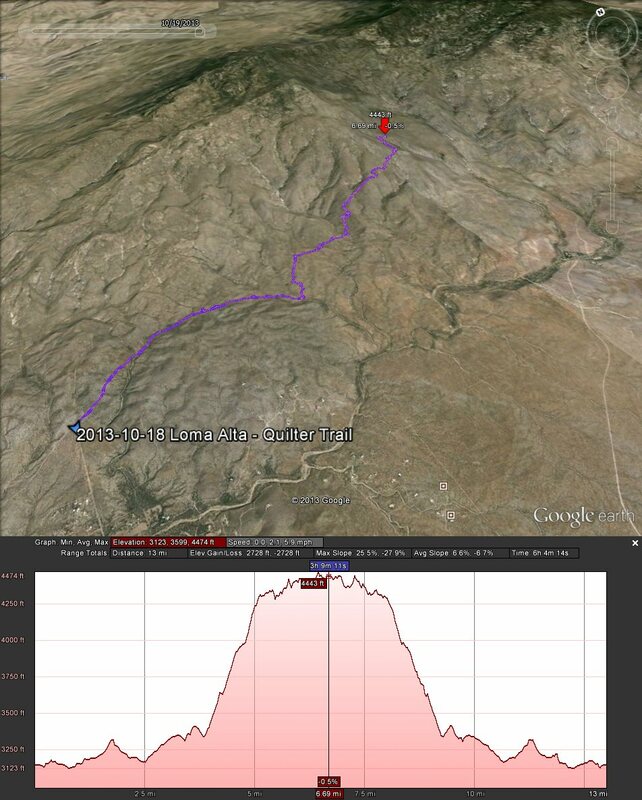 But the nice part is that the climb is rather mild and so the longer hike is less likely to wear you out. The highest point of the full hike is only 1330 feet above the parking lot, and even with all the up’s and down’s that’s only 2350 of climbing, but at least it’s spread out over the 7.8 miles of the trail (so about 16 miles round trip). 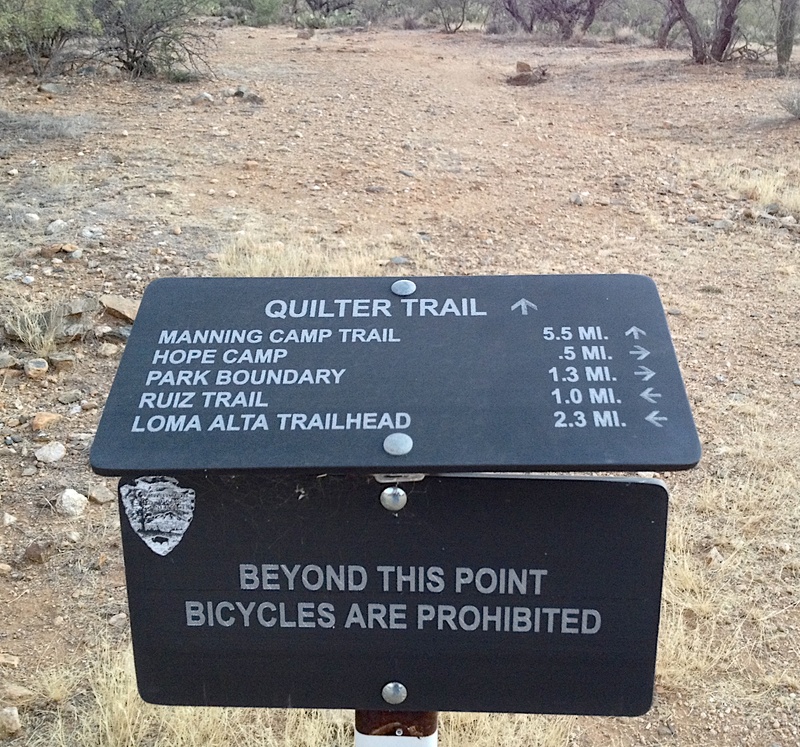 Hiking on Quilter trail is a bit like going back in time to when Tucson was less populated and less people had hiked into the hills. 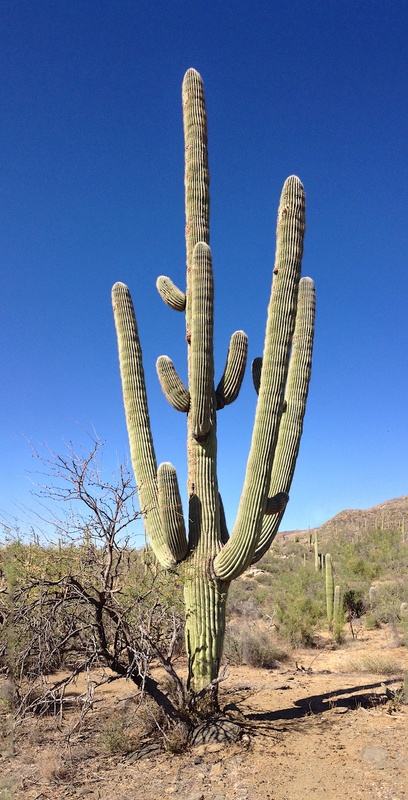 Even the Saguaro cactii seemed bigger.